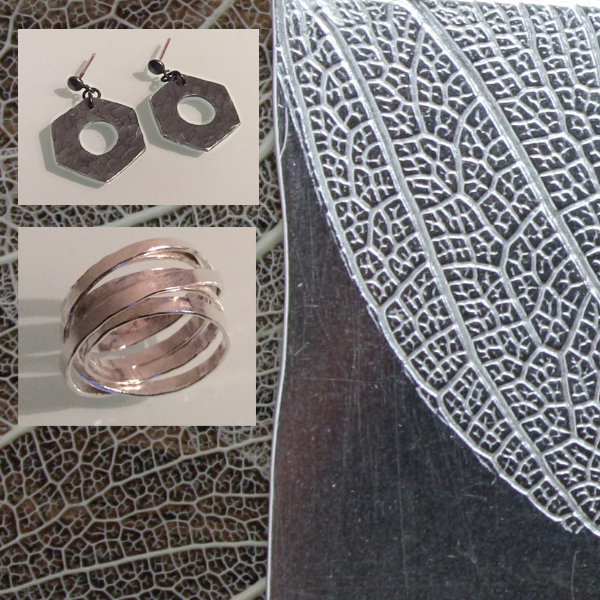 Join us for a 2-day jewellery making taster; make silver earrings and a ring. – Join us for this 2 day jewellery making taster to make a pair of earrings a matching silver ring. Learn how we cut, texture, file and shape silver to make beautiful jewellery. This course serves as an excellent introduction to jewellery making. We’ll lead you through the design process, explaining all the elements we take into account (eg weight, shape, size, finish, material) when we make a pair of earrings and similar items. Techniques include: texturing of metals; ring sizing; drilling, piercing and filing metal; silver soldering; forming; forging; polishing. If you would like to have your ring hallmarked with the Flux Studios hallmark this can also be arranged at cost price.